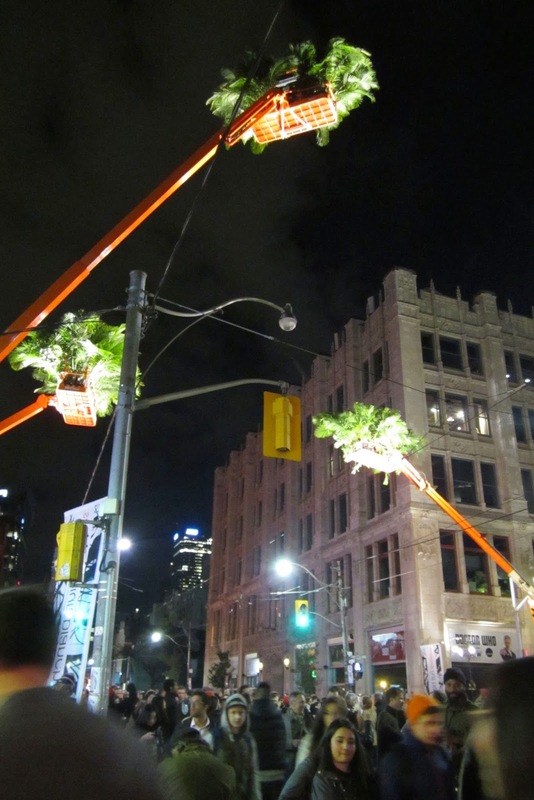 Last Night from 7:00pm to 7:00am Toronto hosted its ninth annual Nuit Blanche - an all night Art "party," in various pods around the city, that is totally free!! I have gone out for everyone of them and they are amazing. Each year is different. Often the locales change; the installations always change; however, the crowds, although different, never seem to change. They are made up of people of all ages and abilities, just milling around, in awe, at how different the city can be. 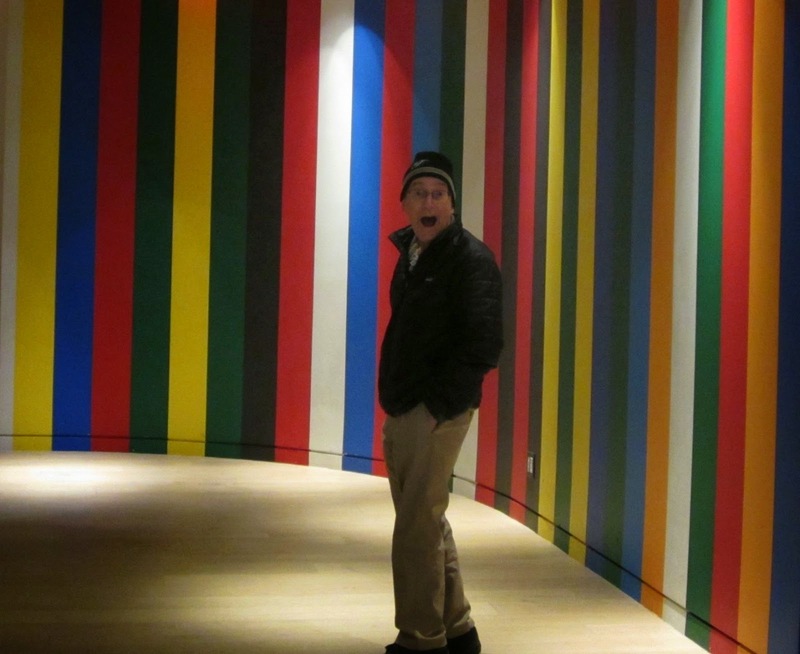 This was not really an installation, it's part of a passageway at the AGO, however, the night turns the ordinary into the amazing, as I have said and my husband enjoyed this one. This year, as well as last, the Art Gallery invited people to vote for three photographers. Each artist had about ten pieces of their work displayed in a gallery setting. 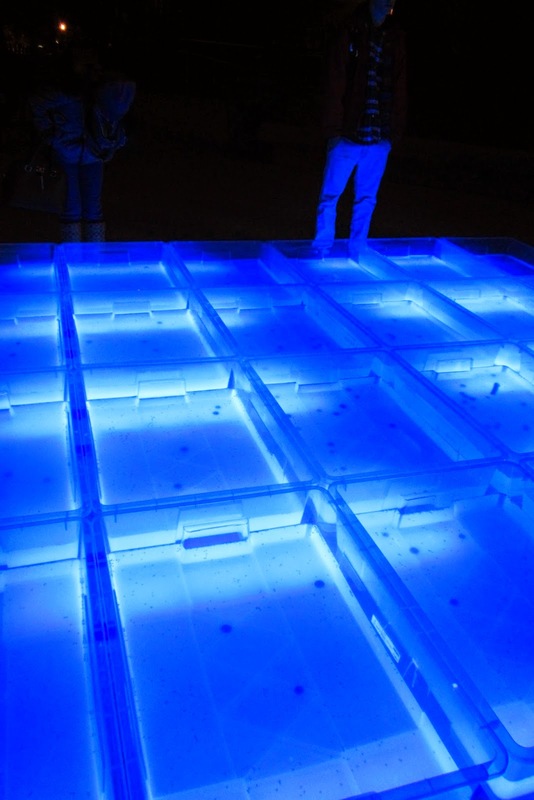 The public could view them free of charge, because it was Nuit Blanche and afterwards vote for a favourite. We voted for the one above, an African photographer, who captured herself in a totally different setting. 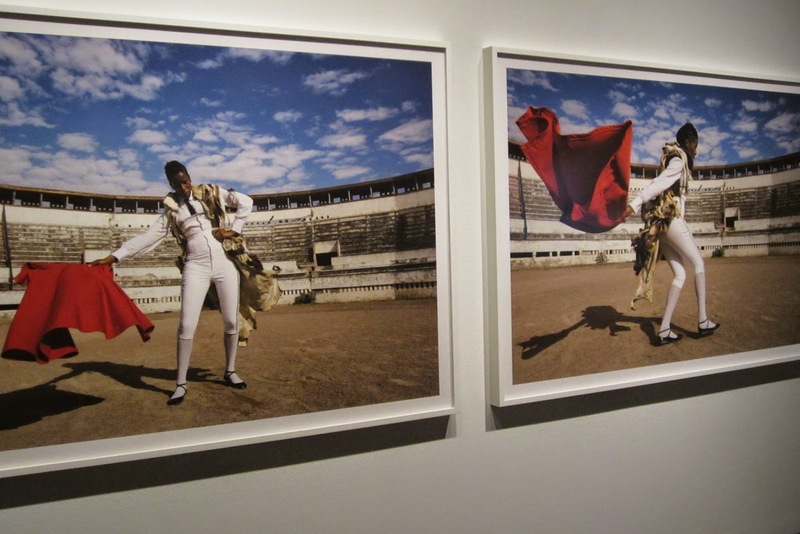 I wondered what Hemingway would have said about this matador. We spent the rest of our time around Spadina between Dundas and Queen Sts. The crowds were manageable until you got to Queen St. However, we did see this maze. 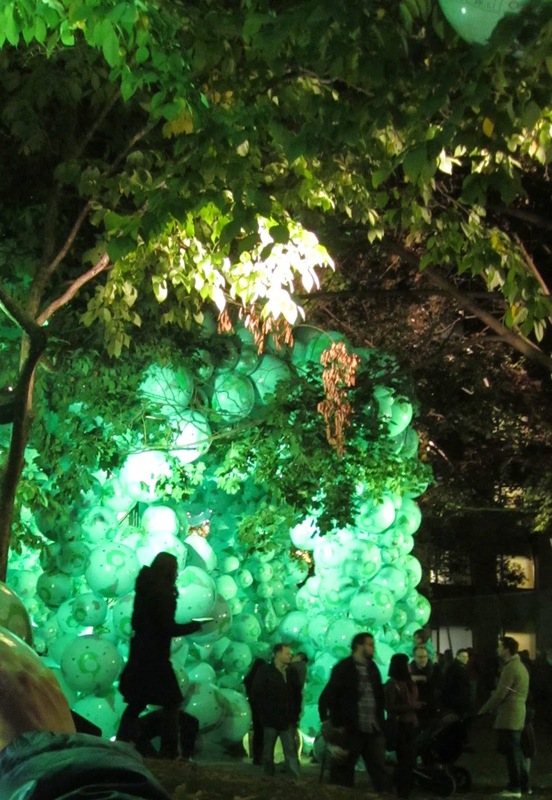 It was a huge installation with thousands of beach balls that were actually globes. If you lined up long enough, you could walk through the maze and ohhh and ahhh as the lights changed through the spectrum. It was really a fairyland and a chance to celebrate the wonder that is our world!! Here was another piece at Queen and John. Magical islands in the sky. I am always stunned at the time and money spent for just twelve hours of glory!! It says a lot about how we respect art and its importance in our lives.